The land, according to sources, belonged to the state forest department, but it was all plain, had no trees on them. In fact, the forest department never took care of the land ever. The Dalits of the area had been cultivating the land, considering it as their only source of livelihood. Instead of applying the forest rights Act (FRA), which makes it mandatory for the government to hand over land any forest dwellers were cultivating since 2005, the sources said, the forest department decided to swoop on them. “These forest dwellers should have been made legal owners of the land under the Act. But their plight was never taken into account”, a senior activist who is know of things said. “The forest department’s illegal occupation of the land has come about at a time when the Dalit cultivators have no other source of livelihood”, the representation said, adding, “Faced with such a situation, three Dalit representatives first sat on a relay fast between June 27 and 29, and have now begun fast until death to get back the land they had been cultivating for so long. 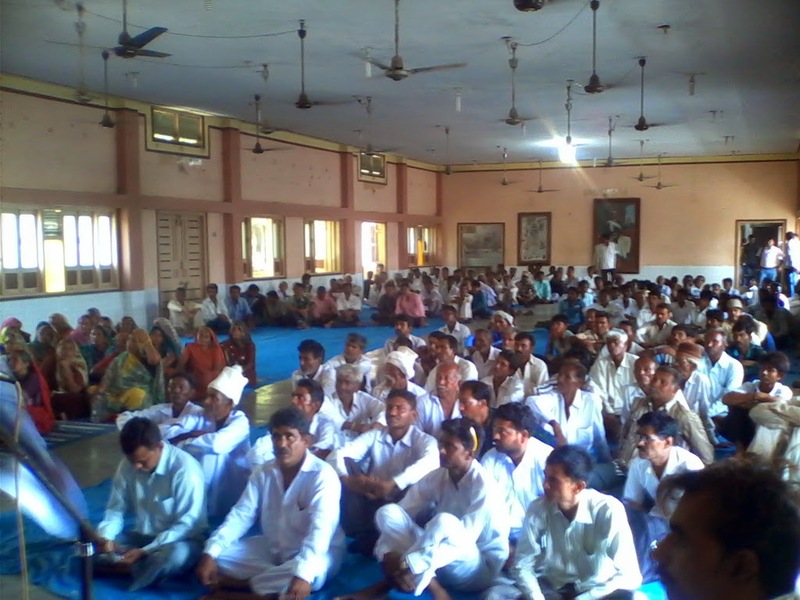 Their main contention is that, their demand towards keeping intact their only means of livelihood should not have been violated.” The representation was prepared by Veraval Dalit Adhikar Andolan, set up by the Saurashtra Dalit Sangathan. Those who took leadership were Deven Vanvi, Jayanti Makadia and Gova Rathod. Especially emphasizing on the manner in which mango trees were cut down in Ramnechi village, the representation said, “These trees were being reared by the Dalit occupants for decades, and there was little reason to remove them. The farmers who reared these trees should be adequately compensated, and land titles should be issues to the farmers. There has been large number of complaints about Dalit farmers being harassed by forest department officials in the recent past. 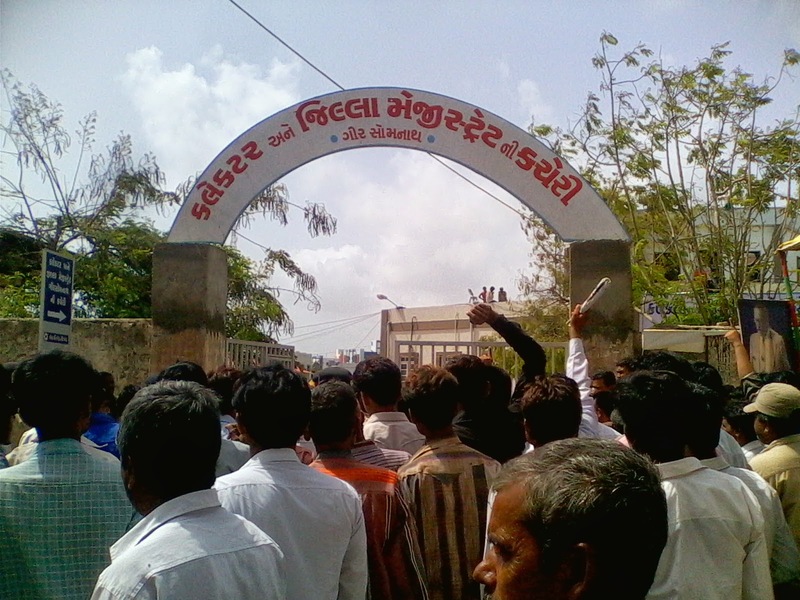 They are stopped from using irrigation facilities, especially wells.” The representation concluded: “In case the Dalit farmers’ demands are not satisfied within the next seven days, the district collector will be held solely responsible for any steps that the Dalit representatives of Saurashtra take”.